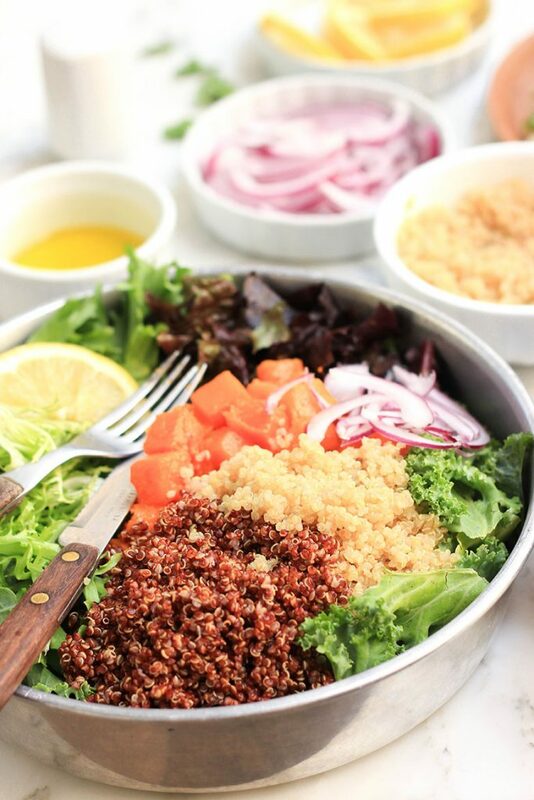 There’s nothing more gratifying than a quinoa salad that’s colorful, filling and full of taste and nutrients. 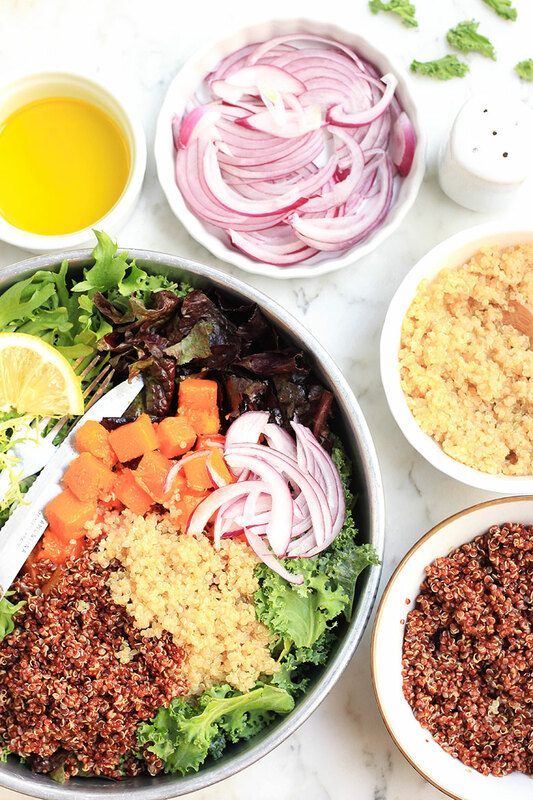 In this delicious roasted butternut squash, quinoa and kale salad that’s great for all the seasons, you not only have vibrant colors, but also different textures and tastes. 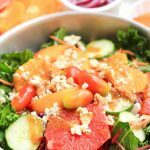 Best of all, it’s a salad that’s healthy, full of protein and vitamins and keeps you full for a mighty long time! Once rinsed, combine the quinoa with water in a small pot and bring it to a boil, then reduce heat down to low and cover the pot for the next 15 minutes, after which you’ll need to turn the heat off, fluff the quinoa with a fork and allow it to stand covered for another 5 minutes. Once both the quinoa and butternut squash are both cooked, all you need to do is simple. 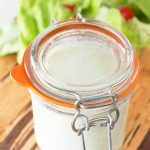 Combine all the ingredients in a large salad bowl, drizzle over lemon juice and olive oil and salt, and then toss very well. Lunch is now served. Pre-heat oven to 400 deg. Fahrenheit (200 deg. Celsius) and line a baking sheet with baking paper. Toss butternut squash with coconut oil until well coated, then place butternut squash on prepared baking sheet and roast for 40 minutes, flipping butternut squash a few times throughout. While butternut squash is roasting, combine rinsed quinoa and water in a small pot and bring to boil. Once water is boiling, reduce heat to low and cover pot, allowing quinoa to cook for next 15 minutes. Switch off the heat once 15 minutes is up, fluff quinoa with a fork and leave covered for another 5 minutes. 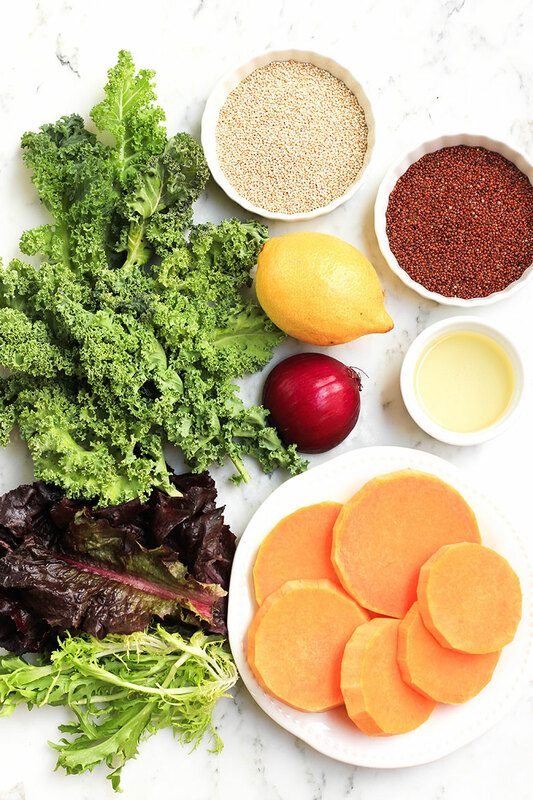 In a large bowl, combined cooked quinoa, roasted butternut squash, sliced red onion, kale leaves and leafy greens. 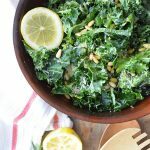 Drizzle over lemon juice, olive oil and season with salt. Toss ingredients thoroughly and serve.